Since I’ve already semi-admitted to criminal behavior in my youth, it’s time for another confession. 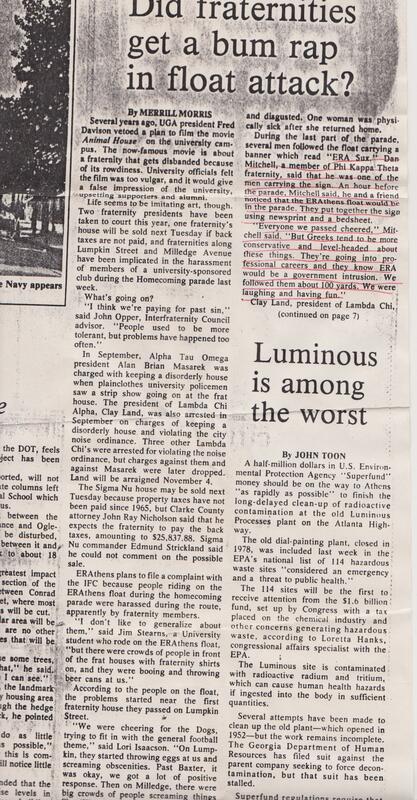 I was recently watching football with a fraternity brother who mentioned that he found some old newspaper clippings about a certain…um…incident from way back in 1979. Here’s the story from the local newspaper. Since I openly admitted my role in the “attack” and mentioned the danger of government intervention, I like to think that this is evidence that I was genetically libertarian and precociously self-aware. I realize that there are alternative hypotheses, involving words like “jerk” and “troublemaker,” but surely that couldn’t be the correct explanation. And here’s what the student newspaper wrote about the episode. It’s been so long that I don’t remember suffering any repercussions. From reading the articles, I gather the leftists made a complaint to the Interfraternity Council. I’d like to say I prevailed in a knock-down, drag-out fight with the establishment, culminating in an inspirational speech akin to the Otter scene in Animal House. 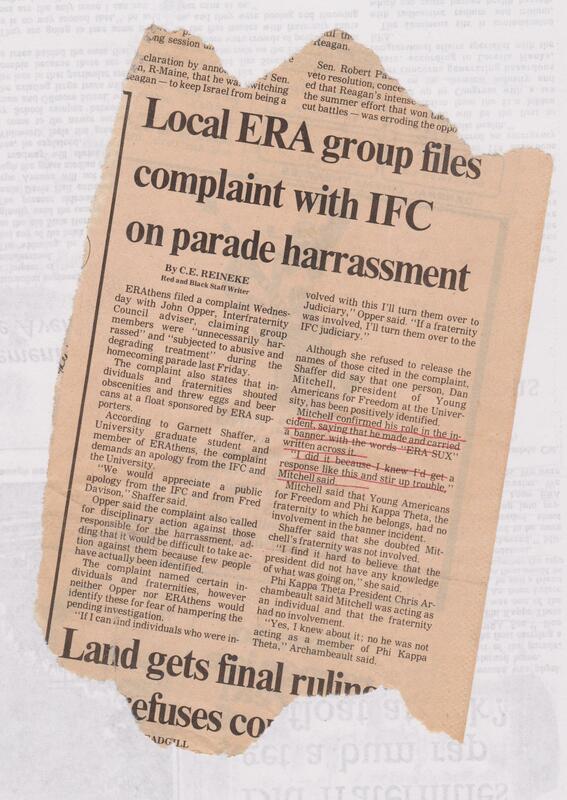 But back in those days, the complaint was probably placed in the circular file. Nowadays, I would probably get suspended or expelled – even though all I did was march with a sign for about 100 yards. Though I didn’t get official permission to participate in the parade from the university bureaucracy. Fortunately, the statute of limitations on that reckless and dangerous offense presumably has expired. P.S. On the specific issue of the Equal Rights Amendment, the actual language of the proposal wasn’t offensive, but I greatly feared what it would mean once leftist judges decided it gave them carte blanche to start imposing quotas, instituting comparable worth, and otherwise interfering with the right of private contract. Yes, carrying a sign for 100 yards can be a quite dangerous operation. And I think that you were quite lucky not to be expelled. Still your story makes me laughing and I find it both amusing and satisfying. What’s wrong about expressing your oppinion with harsh words? I don’t think there’s anything wrong about it. Only that some people may not have the same taste of humor and might be offended. At least it’s just another way of starting a political debate and I hope that these types of debates will become more frequent nowadays.